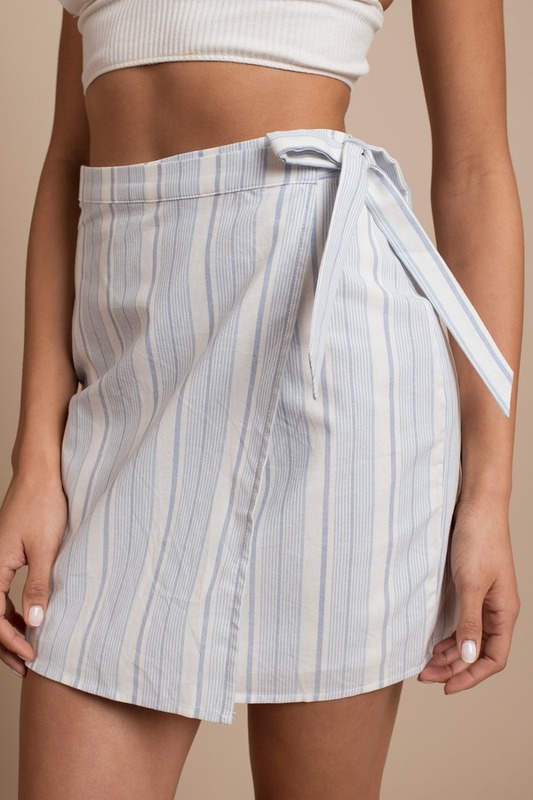 Check out Tobi's It's A Wrap Striped Print Skirt You have to have It's A Wrap Striped Print Skirt. Featuring a wrap style and striped pattern. Pair this skirt with an off shoulder bodysuit and booties. You have to have It's A Wrap Striped Print Skirt. Featuring a wrap style and striped pattern. Pair this skirt with an off shoulder bodysuit and booties. Blue & White modeled on a size Small.